"FREEDOM IS A KEY ISSUE FOR SETTLEMENT OF VARIOUS KEY POLICIES THAT DIVIDE PEOPLE AND GOVERNMENTS"
What the American President Franklin D. Roosevelt underlined on 13 April 1945, has the same or more value today. He said: “We seek peace – enduring peace. More than an end to war, we want an end to the beginnings of all wars – yes, an end to the brutal, inhumane, and thoroughly impractical method of settling the differences between governments. Today we are faced with the preeminent fact that, if civilization is to survive, we must cultivate the science of human relationships – the ability of all peoples, of all kinds, to live together and work together, in the same world, of peace”. Roosevelt truly believed in the possibility of a world. 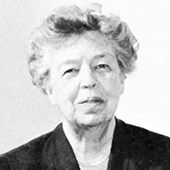 The same legacy for peace and human rights, have been continued internationally by Roosevelt’ wife, Mrs. Eleanor Roosevelt that could have contented herself with inheriting a name universally revered by free men. Yet, by wanting more she became a champion for the cause of human dignity in the world. Through her own merit, she warranted the respect and recognition of all thinking men. As the first President of Honour of the International Association for the Defense of Religious Liberty, it fell to her to launch the broadcast of “Conscience and Liberty” on Radio Monte-Carlo. “Freedom is a key issue for the settlement of various key policies that divide peoples and governments today, and is, therefore, an issue that will affect the future of the United Nations. The decisive importance of this issue was fully recognized by the founders of the United Nations, in San Francisco. Concern for the preservation and promotion of human rights and fundamental freedoms stands at the heart of the United Nations. The United Nations has made it clear that it intends to uphold human rights and protect the dignity of the human personality. First of all, it is necessary for us to fully understand the essential freedom of democracy. Basic human rights are simple and easily understood: freedom of speech and a free press; freedom of conscience and worship; freedom of assembly and the right of petition; the right of men to be secure in their homes and free from unreasonable search and seizure and from arbitrary arrests and sanctions. The immediate test is not only to the extent to which human rights and freedoms have already been achieved, but the direction in which the world is moving. This reflects the basic premise of the charter that the peace and security of mankind are directly linked with a mutual respect for the rights and freedoms of all. "WE CANNOT ABDICATE OUR CONSCIENCE TO AN ORGANIZATION, NOT TO A GOVERNMENT"
Only when an ideal of peace is born in the minds of the peoples will the institutions set up to maintain this peace effectively fulfill the function expected of them. May the men who hold the destiny of peoples in their hands, studiously avoid anything that might cause the present situation to deteriorate and become even more dangerous. May they take to heart the words of the Apostle Paul: “If it be possible, as much as lieth in you, live peaceably with all men.” These words are valid not only for individuals, but for nations as well. May these nations, in their efforts to maintain peace, do their utmost to give the spirit time to grow and to act. 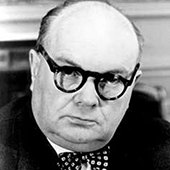 "EUROPE OF TOMORROW – A SUPRANATIONAL EUROPE"
Throughout his whole life Paul-Henri Spaak remained unconditionally attached to the values of freedom, humanism and democracy that had been drilled into him since his childhood. Faithful to his own beliefs, he never wavered from defending these principles during his long and prolific career in politics, both nationally and internationally. Intelligent, generous and sensitive, and open to dialogue, Spaak was not a man to become shackled by rigid or unshakeable positions and attitudes. A pragmatist, he was acutely aware of the non-stop development of ideas and events. He was also willing to bend to these constraints, sometimes at the price of having to make painful concessions. 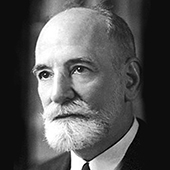 Spaak gained international prominence in 1945, when he was elected chairman of the first session of the General Assembly of the United Nations. 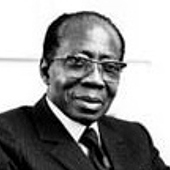 He was a staunch defender of the independence of the European Commission. “Europe of tomorrow must be a supranational Europe,” he declared. In honor of his work for Europe, the first building of the European Parliament in Brussels was named after him. Madame Cassin described Rene as one: He believed that with the cooperation of statesmen, one had to mobilize moral, secular and religious forces without excluding any single denomination; he sought out conversations with representatives from all faiths. A genuine ‘resistance ﬁghter’ against everything which oppressed mankind, he was an awakener of consciences, a passionate defender of peace and of the brotherhood of men of goodwill. In this he was religious. Once more he recalled this memory from the 1914 war: At the end of September 1914, I had been gravely injured by a bullet to the stomach and I can see once again before me the ﬁre that burnt down the aid station of the village of Dompcevrin. In the early morning, I was lying on the ground in misery like my companions. At daybreak, I saw the heavy silhouette of the curate moving around the area. When it came to my turn I was fully conscious, and whilst thanking the curate for his visit I said to him in all honesty, “I am a stranger to your way of worship and I don’t share your convictions”. He replied in his rugged voice, “My child, if you have to appear before the Supreme Judge shortly, know that He will be a judge of love”. This scene is one that I will never forget. For Rene Cassin, the most elective remedy for hatred is justice, and it is by that inspiration upon which the law is formulated. He waged this battle until his dying days. 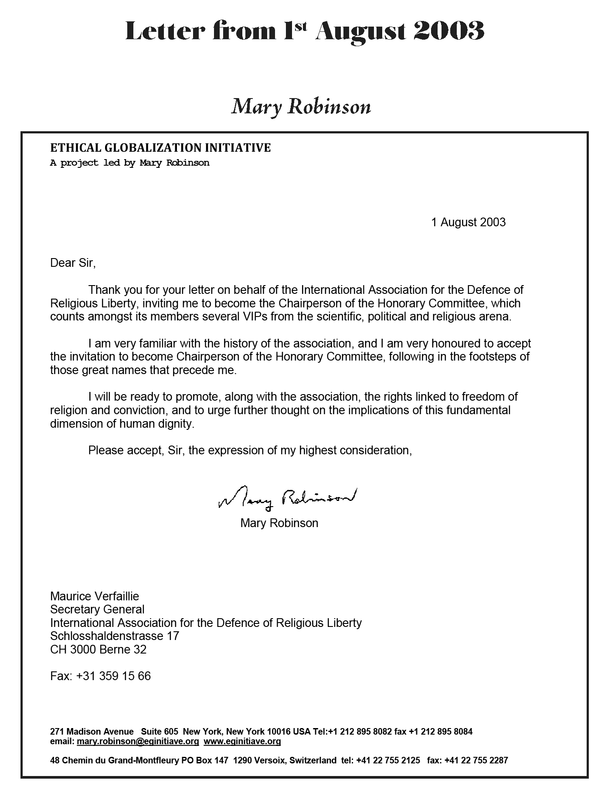 In response to your letter and the contact already established between Mr. Andrew Dufau and my colleague Professor Hubert Thierry, I am pleased to inform you of my willing acceptance to succeed my late lamented friend, Rene CASSIN, s president of the Committee of Honour of the International Association for the Defense of Religious Liberty. This is a cause in which I have a profound interest. 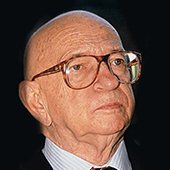 The presence within the committee of personalities such as President SENGHOR and Professor ELLUL, for whom I have the utmost esteem, is a further reason for accepting your courteous proposition. In the sincere hope that we have the opportunity to meet in the near future, please allow me to offer you my very best regards. 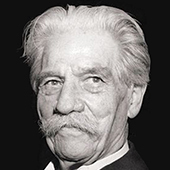 Edgar Faure”. In 1978, the International Association for the Defense of Religious Liberty was given the statute of a non-government organization (NGO) by the United Nations. It obtained a participative statute from the European Council, in 1985. Born on 21 May 1944 in Ballina, County Mayo, Ireland, Mary Robinson was called to the bar in 1967 and, two years later, became the youngest Reid Professor of Constitutional Law at Trinity College, Dublin. In 1973, she became a member of the English Bar. She became a Senior Counsel in 1980, and served as a member of the Advisory Commission of Inter-Rights (1984-1990) and as a member of the International Commission of Jurists (1987-1990). 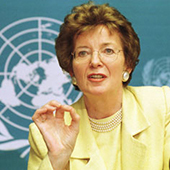 Mrs. Robinson was elected President of Ireland in 1990 after served as Senator for 20 years.She became the United Nations High Commissioner for Human Rights on 12 September 1997, following her nomination to the post by United Nations Secretary-General Kofi Annan and the endorsement of the General Assembly. As United Nations High Commissioner, Mrs. Robinson gave priority to implementing the Secretary-General's reform proposal to integrate human rights into all the activities of the United Nations. She was the first Head of State to visit Rwanda in the aftermath of the 1994 genocide there. She was also the first Head of State to visit Somalia following the crisis there in 1992, and received the CARE Humanitarian Award in recognition of her efforts for that country. In September 1998, she visited China--the first High Commissioner to do so--and signed an agreement with the Government for OHCHR to undertake a wide-ranging technical-cooperation programme to improve human rights in that country. Mrs. Robinson also strengthened human rights monitoring in such conflict areas as Kosovo, in the Federal Republic of Yugoslavia. > Read her Letter of acceptance.